Major study: Do UN Communications Make a Difference for Human Rights Defenders? Despite a growing body of literature on the UN special procedures, we still know very little about the effectiveness of one of its core instruments, namely the use of communications to raise individual cases of human rights abuse with the government concerned. Focusing on the mandate of the UN Special Rapporteur on the situation of human rights defenders, this working paper explores new data to answer the controversially discussed question of whether or not communications generally make a difference in the situations of individual defenders. The first part of this paper analyses data obtained from a survey of involved advocates, assessing the UN mandate’s impact on a random sample of cases among the Special Rapporteur’s communications between 2004 and 2015. The second part is concerned with external factors that may impact the further development of a case, suggesting alternative explanations of – but also possible conditions for – the medium term effectiveness of communications. For this purpose, the author uses a logistic regression to analyse a sample of almost 500 cases in order to investigate possible explanations for improvement or deterioration among cases addressed by the Special Rapporteur. The systematic analysis of impact assessments provided by involved advocates convincingly suggests that individual casework is very often effective in providing protection to defenders whose cases are raised. However, the study of predictors of positive case developments also shows that the effectiveness of individual casework is highly contextual and therefore requires strategic adaptation and creative responses. In considering only direct impact, the finding that the Special Rapporteur’s individual casework very often positively influences defenders’ situations provides an important argument for continued, or even increased, support for the special procedures’ communications activity. Based on the sample cases, it can be concluded that international attention paid to cases with business involvement did not result in any substantial improvements in the medium term. The recently increased efforts by the Special Rapporteur to raise cases with companies directly, rather than only through the government concerned, may prove more effective. Regime type matters with regard to case development, although only as an indirect effect on the predictive value of certain variables. This includes the previous violations, a country’s aid dependency, and a forthcoming UPR process. Such variables should be taken into account when considering the potential impact of a communication on a certain case. The Special Rapporteur often refers to ‘follow-up’ on cases, however, rarely if ever does this reflect repeat communications regarding the same violation against a given defender. In reality, further communications serve instead to highlight new violations against the individual involved. The data suggests that these – often ‘high profile’ – defenders have a very low chance of seeing their situation improved. This finding makes the case for a more detailed assessment of the likely added value that repeated mentions by the Special Rapporteur can or cannot provide. The main leverage in terms of possible impact relies on the selection of cases. However, both the ethical implications and multiple purposes of casework should be acknowledged and respected. While a focus on increased impact can be useful, the documentation function and more indirect protection effects should also be taken into account during case selection. What remains unclear in the dataset is the extent to which ‘improvements’ in a defender’s situation following a communication also reflect a restored ability to carry out their work, and to what extent the experience of violations, or the continued threat thereof, inhibits this. Further research into the effects of case-specific improvement on defenders’ ability to effect change is needed. This working paper is available for download from the University of York Human Rights Defenders Hub. On 11 December 2018 the European Parliament published “Rule of law and human rights in Cuba and Venezuela and EU engagement”, done by external authors Par ENGSTROM and Giulia BONACQUISTI. The European Parliament (EP) has consistently followed the situation in Cuba and Venezuela. It has expressed its support for human rights defenders and democracy with the award of the Sakharov prize to Cuban activists on three occasions (2002, 2005, 2010), and to Venezuela’s Democratic Opposition in 2017 [see: https://humanrightsdefenders.blog/2017/10/27/european-parliaments-sakharov-prize-awarded-to-venezuela-opposition/]. In line with this engagement, a workshop on human rights and rule of law in both countries was held on 6 September 2018, in Brussels, at the request of the EP’s Subcommittee on Human Rights (DROI). Dr. Par Engstrom (University College London) presented the first draft of an independent study analysing the main human rights developments in Cuba and Venezuela since 2014 and the EU’s response. The paper, which focused specifically on the Sakharov laureates, was discussed with Members and other experts, including from the UN Office of the High Commissioner for Human Rights, the European External Action Service and the European Commission. During the lively discussion, there was broad agreement with the description of major trends in the human rights situation in the two countries. Critical comments and controversial issues related to the impact of the government’s repression of the Venezuelan opposition, the need to consider not only civil and political but also economic and social rights, the effectiveness of sanctions against Venezuela and the potential role of the Sakharov Prize. Observations and comments made during the workshop fed into the final version of the study, which is also included in this report. 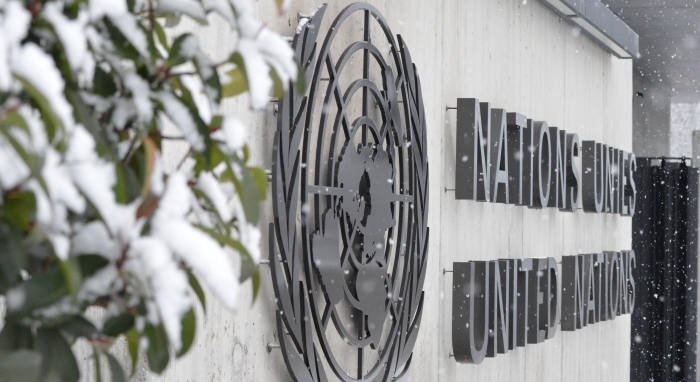 The Geneva Academy’s new publication Optimizing the UN Treaty Body System outlines a series of recommendations related to the functioning of United Nations Treaty Bodies (UN TBs) to prepare for the upcoming review of UN TBs by the UN General Assembly in 2020. ‘While the last words will remain with states and TBs members, this report can provide a basis for negotiations and the blueprint for future changes’ underlines Felix Kirchmeier, co-coordinator of the Academic Platform on Treaty Body Review 2020. This work is the outcome of a three-year consultative process to collect academic inputs and ideas via the creation of an academic network of independent researchers, a call for papers, a series of regional consultations, annual and expert conferences, as well as ongoing interactions with key stakeholders: states, treaty bodies, national human rights institutions, civil society organizations and the Office of the UN High Commissioner for Human Rights and other parts of the UN. ‘The issue of TBs’ reform is almost as old as the system itself: many proposals that are on the table today were already formulated before. Our academic contribution takes these proposals out of their political context by analysing them, their relevance, their likelihood to be implemented and the possible need for updates’ adds Felix Kirchmeier. The final objective of the publication and of the entire process is to make the TB system ‘fit for purpose’ by outlining measures to optimize its functioning, effectiveness and efficiency while safeguarding its key protection role and maintaining the existing legal framework. ‘While the publication provides several detailed recommendations, it notably call for a consolidated state report and a single review, or a semi-consolidated state report and two clustered reviews; the implementation of incremental changes in the TBs working methods; and a consolidation of TBs’ structure in terms of membership, as well as financial and substantial support’ underlines Kamelia Kemileva, Executive Manager at the Geneva Academy and co-coordinator of the Academic Platform on Treaty Body Review 2020. To meet its purpose, TB output must be accessible and visible. Many contributors expressed concern on this account. Modern technology offers easy solutions, some of which have been implemented but could be taken further. Contributors unanimously welcomed the webcasting of country examinations and consider it an important improvement. However, they recommended that webcasts should be broadcast and archived in all working languages, as well as the language in which the review is held – the only one that is available at the moment. They also suggested that webcasts should be easier to access via links on the OHCHR home page in each country and via each committee’s session web page. Many contributors also called for a readily accessible, up-to-date, comprehensive database of TB jurisprudence. It was noted that information on TB findings is currently hard to find (when available), that the database is incomplete, and that decisions are not always available in all UN official languages. Accessing and understanding TB jurisprudence remains a challenge for all stakeholders – whether they are victims of human rights violations, TB members, states, national and regional human rights mechanisms, civil society organizations, or scholars. Contributors recommended that more user-friendly fact sheets and jurisprudence summaries should be prepared to disseminate TB findings and other important developments. To increase visibility, contributors proposed maintaining dedicated pages on social media platforms. This would bring TBs’ work to the attention of larger audiences, assist Committees to update information on their activities, and create followers. More generally, the system’s achievements and impact on rights-holders should be better documented and publicized. UN country missions and human rights mechanisms have developed some good practice in regard to the protection of human rights defenders (HRDs) but there is still much to be done to ensure a coherent, coordinated and courageous response. ISHR submitted findings on some aspects of the UN’s work on HRDs, to the Office of the UN High Commissioner on Human Rights (OHCHR) following its call for input. At country level, ISHR – along with partners Colombian Commission of Jurists and Ligue Tunisienne for Human Rights – found positive practice by OHCHR in encouraging the State to implement the Declaration. ‘In Colombia OHCHR has contributed to a collective understanding of who defenders are and what institutional changes may be needed to counter attacks against them,’ said ISHR’s Eleanor Openshaw. ‘While in Tunisia OHCHR has developed a database to systematise the process of follow up on UN recommendations.’ In other contexts, guidelines to steer bodies and representatives in country are often vague, with no mention of the Declaration as a key UN standard. Whilst there have been some positive developments connecting different parts of the UN system – for example the new UN Environment focus on environmental defenders, developed with the Special Rapporteur on HRDs – there is a lack of an informed or coordinated response in others. This points to the need for comprehensive UN-wide policies on the protection of defenders. ‘Ensuring coherence and effectiveness throughout the UN system in regard to the protection of defenders requires a strong steer from the very top – the UN Secretary General,’ said ISHR’s Tess McEvoy. ‘We hope Mr Guterres will commit this year – the 20th anniversary of the Declaration– to providing such leadership.’ The Special Rapporteur on Human Rights Defenders, Michel Forst has spoken of attacks against defenders ‘multiplying everywhere’. On 24 January 2018 an important study was made public about the work of the UN Rapporteurs on Human Rights Defenders. It concerns the study “Chasing Shadows: A Quantitative Analysis of the Scope and Impact of UN Communications on Human Rights Defenders (2000–2016)” by Janika Spannagel and published by the Global Public Policy Institute. At the bottom of this post there is link to downloading the full report. [see also: https://humanrightsdefenders.blog/2017/12/11/good-introduction-to-the-anniversary-of-the-un-declaration-on-hrds-in-2018/]. Each year, the United Nations Special Rapporteur on human rights defenders receives a large number of submissions regarding individual cases of concern. Only a fraction of these cases are addressed by the rapporteur’s communications procedure. Unlike outgoing communications, incoming cases are not publicly reported or even systematically registered by the UN. Furthermore, the criteria for the selection of cases (beyond basic eligibility) remain largely undefined. The consequences of case selection, whether according to explicitly stated rules or implicitly applied criteria, are quite significant. Currently, only 550 individual cases can be addressed by the mandate each year. [there are tremendous constraints in terms of staff.] Given this reality, the case selection process defines which types of defenders under pressure receive the UN’s attention and legitimization – and which do not. Nobody can determine with certainty how many cases have fallen through the cracks over the 17 years the mandate has been in existence, or who tends to benefit from the UN’s attention and who is often overlooked. Based on extensive empirical research, this policy paper provides the first systematic analysis of all communications sent out to date. It finds credible indications that outgoing communications have a positive impact, but also demonstrates that there is room for improvement. In particular, a more deliberate prioritization of cases is required to ensure that the mandate can serve its protective purpose more effectively under the constraints of very limited resources. The policy paper advocates an approach that aims to maximize the potential impact on the individual defender while systematically striving for a balanced documentation of cases. It makes an evidence-based argument for a number of adjustments and offers actionable recommendations to the mandate as well as to the Office of the High Commissioner for Human Rights, to states, and to civil society actors regarding how to enhance the effectiveness of UN efforts to protect threatened human rights defenders around the world. Among others, the paper recommends that the use of joint special procedures communications should be the exception rather than the rule, that states’ replies to cases should be systematically monitored and the respective data publicly released, and that more concerted international action should be taken with regards to ‘softer’ forms of repression. The 5th Theo van Boven lecture was given by Hinah Jilani on 11 November 2014 in Maastricht. As a primeur here is a report written by Daan Bronkhorst (1953) who has been at the staff of Amnesty International Netherlands since 1979. He has written on refugees, transitional justice, history and other issues, and produced a Dutch-language encyclopedia of human rights. He is now writing a PhD study on human rights defenders. At the law faculty of Maastricht University, the 5th Theo van Boven Lecture was presented on 11 November 2014 by Hinah Jilani. From 2000 to 2008, she was the United Nations Special Representative on Human Rights Defenders. She is in various respects an emblematic human rights defender herself. Already in 1980, with her sister Asma Jahangir she founded the Legal Aid Cell in Lahore. She was co-founder of the Human Rights Commission of Pakistan and the Women’s Action Forum. She was the target of arrests and death threats, once narrowly escaping a gunman who killed the woman she was counseling at that time. In the lecture, she described human rights defenders as those who bring to the fore information on the abuses to be addressed by governments and organizations. They contribute to relief and protection, they provide a measure of accountability, they inform governments on possible actions and help ensure a measure of justice. In conflict situations, they have a critical role in promoting peace and peace building. They prompt recognition of participatory democracy and transparency. ‘Human rights defenders are not just making human rights violations visible, they confront states with their duty to protect’, she said. For their work, defenders are considered a threat in most parts of the world. They experience vilification, unfair trials, acts of violence, self-imposed exile and reprisals. Jilani’s opinions and convictions can be considered as leading in the field. Her observations, I think, also give rise to a number of questions. I mention three. First, the concept. That the UN Declaration offers no definition has the advantage of greater inclusion, but the risk of confusion and erosion. There are conspicuous inconsistencies in the UN Declaration with later commentaries and explanations issued by the Office of the High Commissioner for Human Rights. Is the term meant to denote only those who are at risk, or also those working from safe offices in say Geneva? That the very concept of the human rights defender is still in the air even at the UN is testified by the November 2013 debate that led to a resolution on women human rights defenders. In the last-minute final text some of the draft’s references, such as to violence against women and to the refraining from invoking customs and religion, were left out, even though shortly before having been adopted in UN General Assembly resolutions. Second, the scope of the work of human rights defenders. It is one thing to state that human rights work contributes to processes such as that of peace building and social justice, it is another to imply that their actual work is in those fields. There is much consensus about human rights including protection from torture or equality before the law, but not on such issues as the human rights scope of poverty. What is the dividing line between what is injustice and what is a human rights violation? This ties in with a larger present-day debate on the position and foundations of human rights. Will human rights defenders get lost in this debate and become one more bone of contention? Or can a somehow limited purview of their work strengthen human rights’ position? And third, the empirical data that support the call for better protection and underpinning of the human rights defenders’ work. Jilani’s statement that the space for human rights defence is shrinking on a worldwide scale and that attacks on human rights defenders are increasing, is reflected in reports by international defenders organizations. Simultaneously these organizations report greatly expanding international networks, much success in training, rising awareness of the international community. Is there a discrepancy here? Is the image of increasing threats perhaps self-serving the (donor) organizations? To the perceived rise of menaces one can argue that not long ago in most non-Western countries there was no civil society space at all. Also, since so many more individuals and groups are now labeled ‘human rights defenders’, the absolute number of those victimized may grow even if their proportion decreases. If there is indeed progress, this may prompt emphasizing the effectiveness of programs and using this as leverage for work on situations where the threats persist or newly occur. How can human rights defenders lead and manage human rights organisations well? How can human rights defenders practice rights-based approaches and principles in their workplace? What key issues do human rights defenders face when working in organisations? These are the questions that inspired the Centre for Applied Human Rights, University of York, United Kingdom, to run a 10-week course from 23 April to 1 July 2014. This module is aimed at human rights defenders and practitioners interested in leading and managing organisations more effectively. This course is part of CAHR’s Defending Human Rights distance learning programme delivered wholly online in a fully supported environment. Students can take one, two or three modules as a continuing professional development (CPD) student, without academic credit, or complete all three modules as a postgraduate student, with academic credit. Postgraduate students who complete all three credit-bearing modules are awarded a Postgraduate Certificate (PGCert) in Defending Human Rights. either hold a leadership position in a civil society organisation or demonstrate strong potential for such leadership. Barbara Fontana, Deputy Head of Human Rights section, Permanent Mission of Switzerland to the UN in Geneva. It will also be the occasion to launch the new Academy Briefing on Facilitating Peaceful Protests.